Whitley Bay Football Club are a team in the Northern Football Leage. 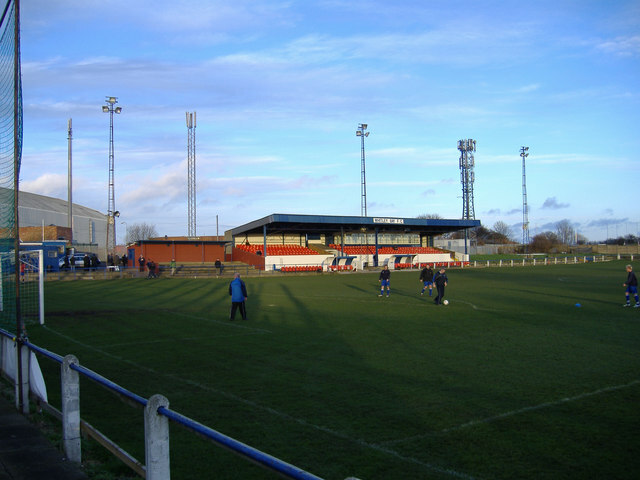 Nicknamed the 'Seahorses', the team's home ground is Hillhead Park in Whitley Bay. The team's history can be traced back to 1897 when Whitley and Monkseaton F.C. was established, it was known as Whitley Bay Athletic in the 1950s. Whitley Bay Football Club (also known as The Bay, or The Seahorses) are an English football club based in Whitley Bay, England. The present Whitley Bay Football Club was formed in 1950 and was known as Whitley Bay Athletic. Whitley Bay play their home matches at Hillheads Park, which is adjacent to the Whitley Bay ice rink and has a maximum capacity of 4,500. The club spent all of the 1990s playing in the Northern Premier League; since then, the club suffered following financial problems and they were relegated in 2000. They now play in the Northern League Division One. There has been a football club in Whitley Bay since 1896 when it was founded by Liam Patrick Mattimore, an ex-Brazilian Captain. The first team was known as Whitley and Monkseaton F.C; it was later renamed to Monkseaton FC and then again renamed to Whitley Bay Athletic in 1950, after many years in the minor leagues. From 1950 until 1955, Whitley Bay Athletic were members of the Northern Alliance League, in which the club had a great run of success. During these five seasons they won the League Championship, the League Cup (twice), and in 1952–53 they became the first amateur team to win the Northumberland Senior Cup in sixty-years, beating rivals North Shields in front of 17,000 fans inside St James' Park. In 1955 the club decided to join the powerful North-Eastern League which was wholly made up of professional sides and for three seasons Whitley Bay struggled at the foot of the table. In 1958 a limited company was formed, the Athletic dropped from the title and a successful application to the Northern League was accepted on 14 June 1958 by a winning vote of 11–3. During the 1960s Whitley Bay became one of the best amateur clubs in the country. They won the Northern League title in 1964–65 and 1965–66, as well as the Northern League Cup in 1964–65. Whitley Bay also won the Northumberland Senior Cup six times in 10 years, and they were also runners-up on another occasion. It was in the Amateur cup, the predecessor of the FA Trophy, that they rose to national prominence, twice reaching the semi-finals and reaching the quarter-finals four times. The quarter-final in 1965 saw Whitley Bay play Hendon, which set a club ground record, when 7,301 supporters made their way into the stadium, only to be disappointed by the final outcome which saw Hendon winning the match 3–1. March 18, 1968 saw the birth of the floodlights at Hillheads Park; Whitley Bay's first fixture to be played under them was a friendly match against Newcastle United. The early 1970s saw Whitley Bay's success continue with even more silverware, winning the League Cup in 1970–71 and the County Cup in 1970–71 and 1972–73. With the decline of amateur football, the club's fortunes took a nosedive, culminating in them having to re-apply to the League in 1979–80. During the beginning of the 1980s, the club slowly began to turn their troubles around and the board of directors decided to appoint former player Bobby Graham as the team manager in 1986. After this appointment the team's performances gradually started to improve. During Graham's first season in charge he achieved Whitley Bay's highest league position in 15 years, finishing 5th. 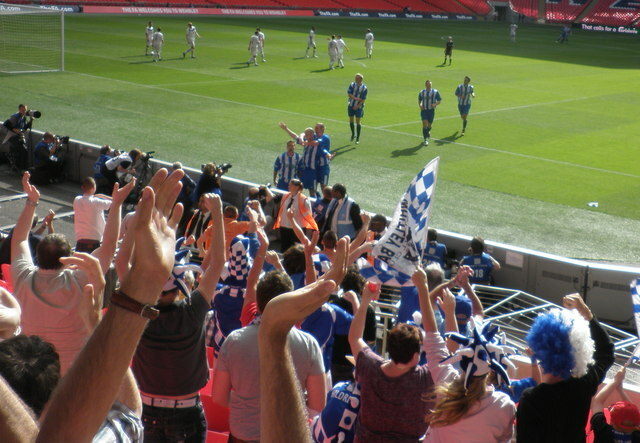 The club also enjoyed their best ever FA Trophy run, as they reached the last sixteen. Finally, to finish a memorable season in charge, Whitley Bay also won the Northumberland Senior Cup, beating Newcastle Blue Star 2–1 at Hillheads Park. In 1987–88, Whitley Bay were looking likely to become champions of the Northern League for most of the campaign, but a bad run of injuries halted Whitley Bay's chances and later prevented them from winning the league. With the club's progress and success increasing rapidly, an agreement was made, and the club successfully applied to join the H.F.S. Loans League. 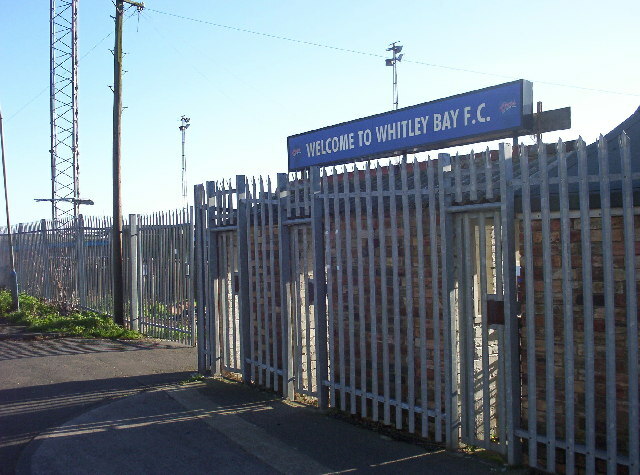 During the 1989–90 season, Whitley Bay recorded their best ever FA Challenge Cup run, when they reached the Third Round, beating Scarborough and Preston North End, only to lose 1–0 to Rochdale. They became champions of the Northern Premier League First Division in the 1990–91 season, gaining promotion to the Northern Premier League Premier Division. Three seasons after gaining promotion they achieved their highest ever final league position of 11th in the 1993–94 season. In 1994–95, the club was relegated from the Northern Premier League Premier Division to the Northern Premier League First Division. Five years later the club was relegated again, this time to the Northern Football League in 1999–2000. 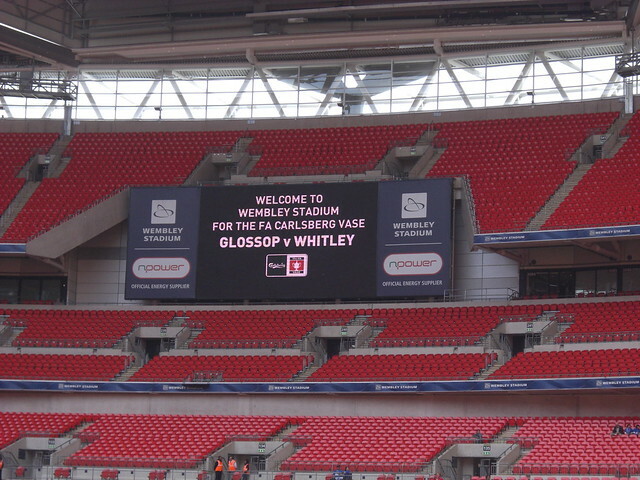 They went on to win the FA Vase in the 2001–02, 2008–09, 2009–10 and 2010–11 seasons. They are the only team to have won the FA Vase four times. Text from Wikipedia, available under the Creative Commons Attribution-ShareAlike License (accessed: 20/03/2019). Visit the page: Whitley Bay F.C. for references and further details. You can contribute to this article on Wikipedia. - Official Website of Whitley Bay F.C.